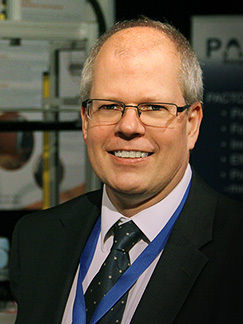 Jani Söderhäll, founder and sole owner of PC PAL, has been designing medical software since desktop computers first became available. He was recruited as the database developer for one of the first worldwide post-marketing surveillance studies to use electronic data collection, where his continuing passion for user oriented medical informatics systems, and absolute conviction that the best solutions are produced by an in-depth collaboration between sponsors and developers, began. Not surprisingly, he searches out candidate employees who accept nothing less than excellence and have a top-drawer area of expertise to contribute to the team. The majority of the staff is split between the Paris and Stockholm offices with field based personnel in North America, Australia and England. The thirty strong team is comprised not only of computer engineering specialists, but natural science graduates, educators and teachers, engineers, medical device specialists, documentation experts and layout designers many of whom qualified with higher degrees before discovering their talent for, and fascination with software development. This eclectic collection of backgrounds contributes a diverse set of knowledge bases and problem solving styles, which are a major strength of PC PAL. An indication of the teams origins is that we have native speakers of French, Swedish, German, Romanian, Chinese, Greek and of course English. The list is extended by second languages of Spanish, Italian and Russian so there’s a good chance we can share a common tongue in discussions with clients. "I don’t want any input, I only want output!" During the years PC PAL has been involved in many successful projects building applications for the medical sector. Many of our projects are results of pharmaceutical companies wanting to offer IT-products to physicians and nurses working with their medications. By ordering a PC PAL system, the pharmaceutical companies get important feedback concerning their drug, and the physicians and nurses get a tool helping them in their everyday work with their patients. As we have had close contacts with the end-users over the years we have learned that it is important to offer something more than just a tool in which to enter data. For the end-users to appreciate the tool it must give something back in return. Or as one of the physicians put it: "I don’t want any input, I only want output!" This quote is something that we have carried with us and that we have in our minds constantly when developing our applications. The secret of the PC PAL systems is that we offer a combination of great visual output together with advanced data validation handling. This has made our applications widely appreciated by both customers and end-users since the beginning of the 1990’s. Our main area of expertise concerns making applications for use in the pediatric endocrinology area, facilitating surveillance of children’s growth. We have also worked extensively with adult endocrinology, ophthalmology as well as with genetic syndromes and disorders. Below is a list of some of the diseases and syndromes that we have developed applications for.